Complex Says: Like a lot of racers, Sébastien Loeb likes to go bicycle riding when he's not on track. (We would, too, if we lived in Switzerland.) During the 2006 season, Loeb had an accident on his mountain bike. His front tire hit a rock and he launched over his handlebars, landing on his shoulder. His right humerus broke in four places, requiring surgery to set. As a result, he missed the last four races of the 2006 season--but he won the 2006 WRC Drivers' Championship anyway. 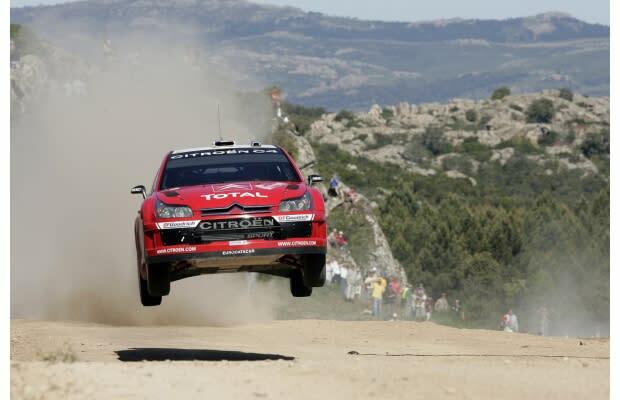 Loeb made a full recovery, and he has won every WRC Drivers' Championship from 2004 through 2011. He has also announced no plans to retire anytime soon.